Alejandro had over 10 years of experience working for tour companies around Costa Rica and was ready to branch out on his own. 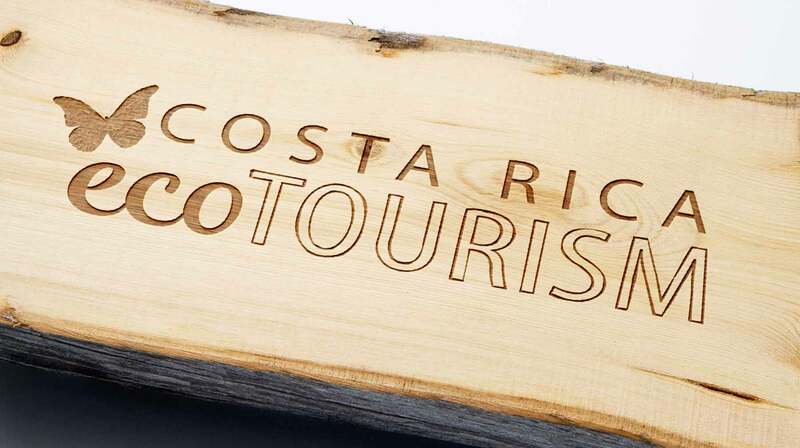 His passion was ecotourism and he built his new business specializing in eco-tours in Costa Rica. Ecotourism is defined as “responsible travel to natural areas that conserves the environment, sustains the well-being of the local people, and involves interpretation and education” according to The International Ecotourism Society. For the design, I chose blues and greens that are so prevalent in Costa Rica’s landscape, a friendly and approachable combination of fonts, and a butterfly to represent a fragile piece of Costa Rica’s ecosystem which inspires awe and responsibility. 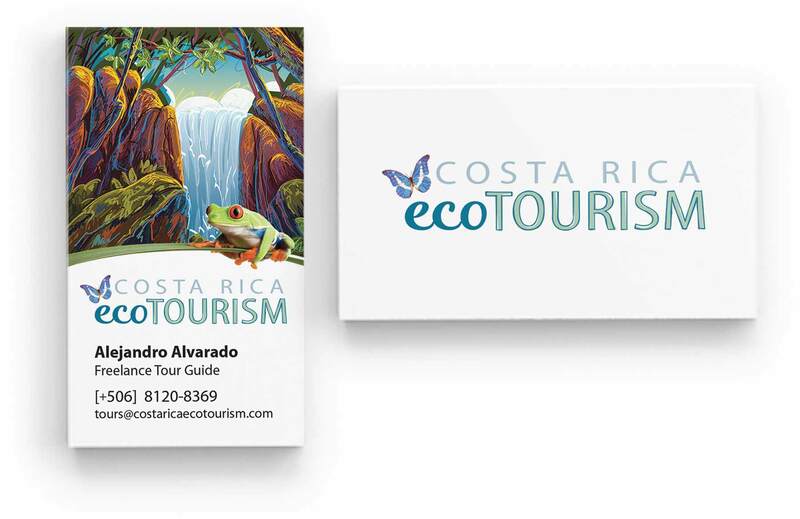 The business card design incorporates an illustration from a national park and the national frog of Costa Rica, which is also a fragile piece of the Costa Rican ecosystem. 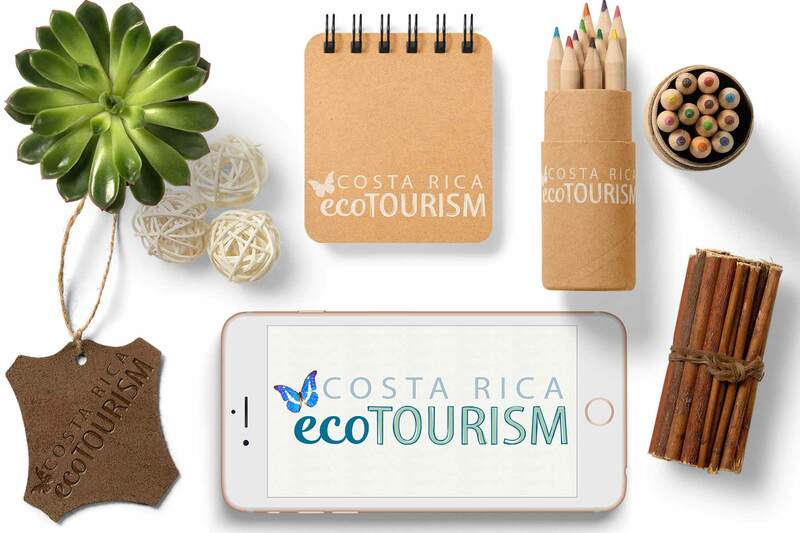 The collateral design products like the notebook and tag are all made from environmentally-friendly resources and processes and have that earthy look sought after by the eco crowd. This was a really fun project because it combined two passions of mine – design and being kind to the environment.